So you have a Raspberry Pi, or you’re thinking of getting one, and you want to know how to get started and how to become a master user of one. The Raspberry Pi is a single board computer, meaning that in many ways it's a regular PC, except that everything that makes up the computer is on a single board rather than a traditional PC, which has a motherboard and requires a number of additional daughterboards to make a whole unit. 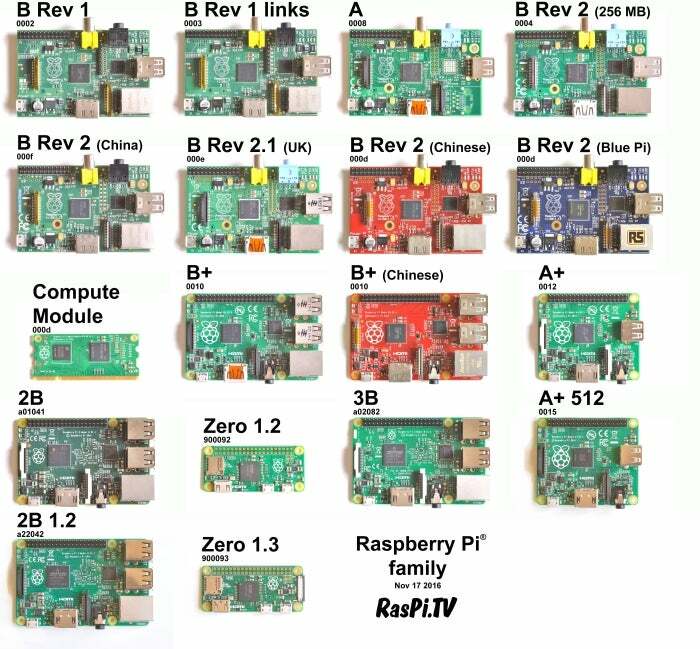 There are a number of different Raspberry Pi models. If you're buying now, the best one for general use is the Pi 3 Model B. It's the latest and greatest all-round. Other models, like the Pi Zero, are better for embedded projects, but if you know how to get going on a Pi 3, you are making a great start. For a comparison of the different models, see my previous article Which Raspberry Pi should you choose for your project? Hardware: What do you need? If your monitor is DVI or VGA, you’ll need an adapter. Any old Micro USB cable will power a Pi 1, but the hungrier Pi 2 or 3 require a 2A and 2.5A power supply, respectively. You may use an Ethernet cable for a more reliable network connection or use a USB dongle to add Wi-Fi or Bluetooth, or connect up another USB device. Note that the Pi 3 has built-in Wi-Fi and Bluetooth, so dongles for these are unnecessary. You can even use Bluetooth for audio if you have a Bluetooth speaker or headphones, but don't worry, the Pi still has a 3.5mm headphone jack. The Raspberry Pi boots from a Micro SD card. The card holds the Pi's operating system and files the way a hard drive would in a PC. Many operating systems are available for the Pi and most are distributions of Linux. 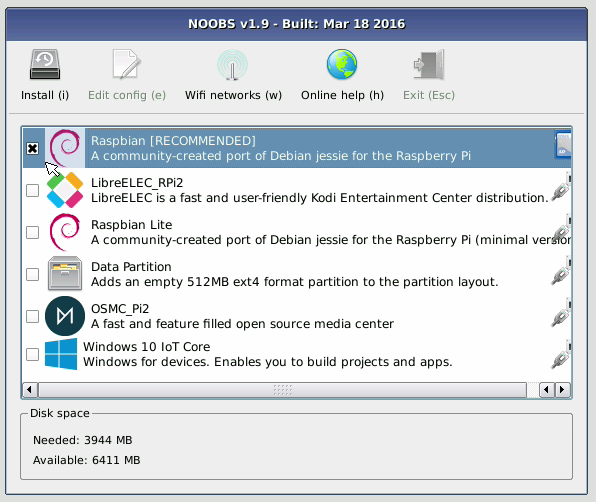 The operating system maintained and officially supported by the Raspberry Pi Foundation is Raspbian, which is based on Debian, optimized for the Raspberry Pi, and includes lots of useful software. Advanced users will be familiar with installing an image to an SD card, but for beginners an operating system installer called NOOBS (New Out Of the Box Software) was created to make the process easier. The easiest way to get started is to buy a Micro SD card pre-installed with NOOBS. 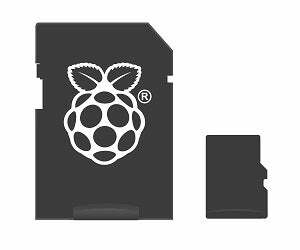 You can often buy a Raspberry Pi with the SD card included or you can buy the pre-installed SD card alone. 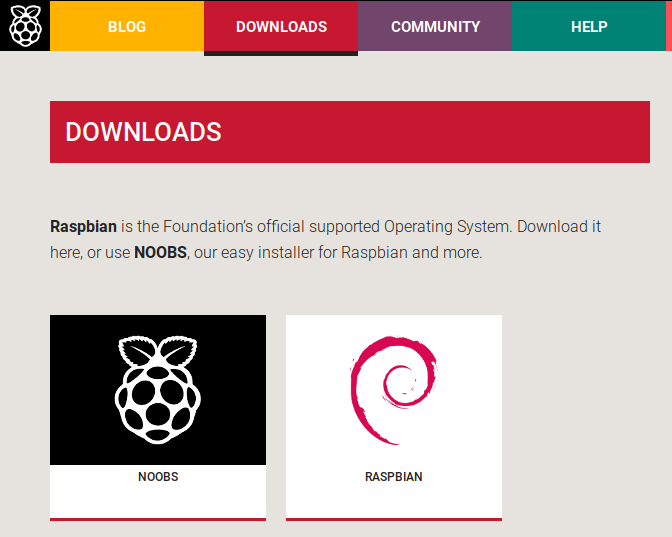 If you have a Micro SD card lying around and would like to use that, you can easily download and install Raspbian yourself. The easiest way to get started is by tackling NOOBS. You just have to download NOOBS from the Raspberry Pi website, extract the files from the ZIP, format the SD card, then drag-and-drop the files onto the SD card. That's it—you’ve installed NOOBS and you’re ready to go. See the Raspberry Pi quick start guide for more information. Another easy option is to download the Raspbian image from the Raspberry Pi website, and download Etcher from etcher.io. Launch Etcher, choose your Raspbian .img file, choose your SD card drive, and hit Flash. 4. When this is complete, type sudo sync and you can remove the SD card. 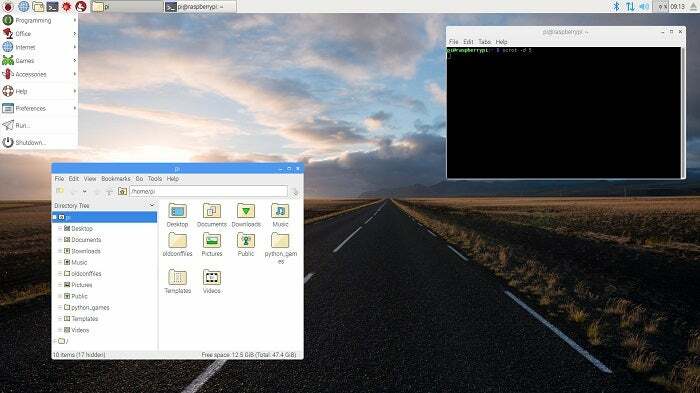 Now you're looking at the Raspbian Jessie PIXEL desktop. It should look and feel familiar to desktop and laptop computers you’ve used before, whether Windows, Mac, Linux, or Chrome OS. There's a menu in the top bar: Click it to reveal the programs available. Raspbian comes with a great suite of applications including a web browser (Chromium), an office suite (LibreOffice), programming environments (Scratch, Python, Sonic Pi, Java, and Mathematica), games (Minecraft and Python Games), and general utilities (Archiver, Terminal, and Leafpad text editor). All I've shown you so far has been using the Raspberry Pi as a desktop PC, but as well as being a very small and affordable computer, it also has much more interesting capabilities you won’t find on your average PC or laptop. The Pi has a set of 40 pins, which are GPIO (General Purpose Input Output) pins that you can use to connect electronic components like lights, buzzers, motors, and sensors, and write programs that interact with them—read sensor values and control lights, buzzers, and motors. The easiest way to use GPIO is through a Python library called GPIO Zero. As well as connecting up electronic components, there is also a community ecosystem of add-on boards with all the components built-in to a single board, such as the Sense HAT, which adds an LED matrix, a bunch of sensors, and a mini joystick to your Pi. This is perfect for science experiments, games, and more. The Pi also has an emulator for the Sense HAT, so you can try it out without buying additional hardware. See my article on my top 10 add-on boards. The Internet of Things (IoT) is all about connecting ordinary devices together in your home or anywhere. Because the Raspberry Pi is so small, cheap, and easy to connect to the internet or a local network, and program in any language, it's a popular tool for hobbyists making their own IoT devices. 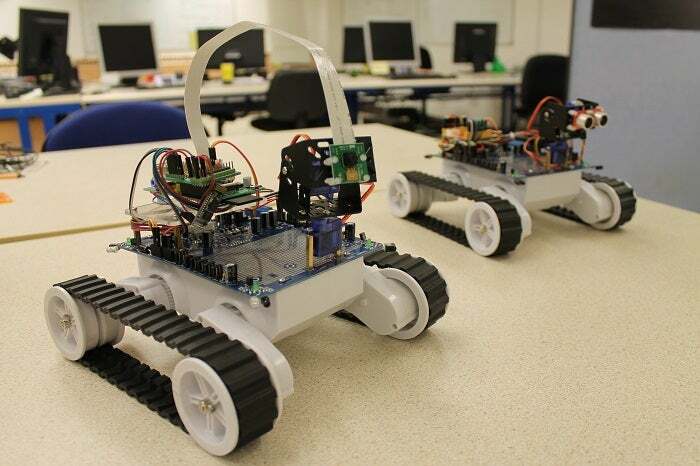 Check out IoT related posts on the Raspberry Pi blog. 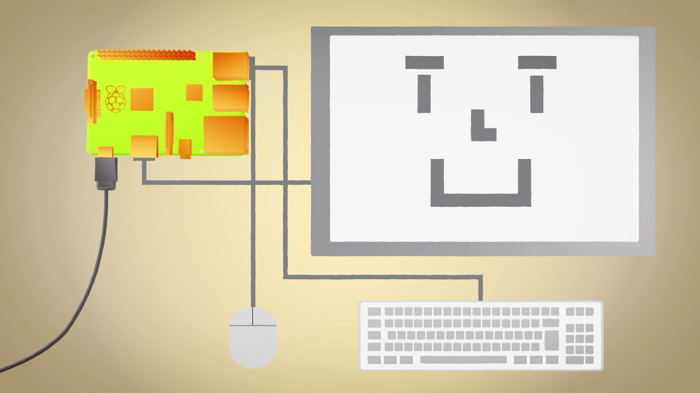 The Raspberry Pi community is a friendly and welcoming one, both online and offline. Read the Raspberry Pi blog, join the Raspberry Pi forums, peruse the Stack exchange, or follow Raspberry Pi on Twitter, Facebook, or Google+. You also have available a brilliant network of family-friendly Raspberry Pi events called Raspberry Jam. Be sure to take a look at the map and see if there is one near you.